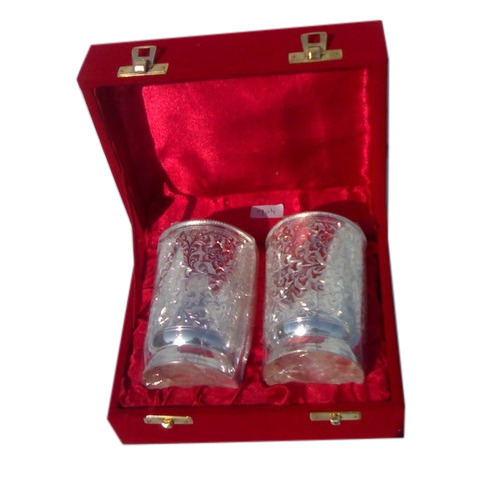 Under the meticulous supervision of our highly skilled professionals, we are providing a high quality range of Silver Plated Glass Set. Established in the year 2011, at Moradabad, (Uttar Pradesh, India), we “Shahzad Handicraft”, are a Sole Proprietorship Firm, recognized as the prominent manufacturer and wholesaler of the best quality Silver Plated Bowl Set, Silver Gold Plated Bowl Set, etc. Under the direction of our mentor “Shahzad (Proprietor)” we have gained a commendable position in the industry.